What if there was one thing you could implement in your business today that would potentially bring you a deal, and cost only $71? This is something to check out…. 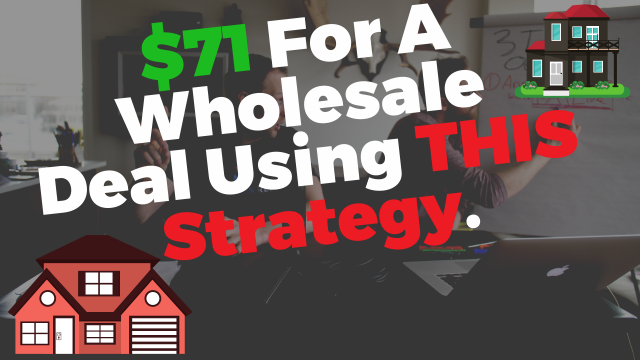 – The 1 strategy we implemented for a wholesale deal that cost around $71! – The other side to that coin that we call Compound Marketing that really makes this system work effectively. – The website we use to get all our materials from, for the cheapest price.